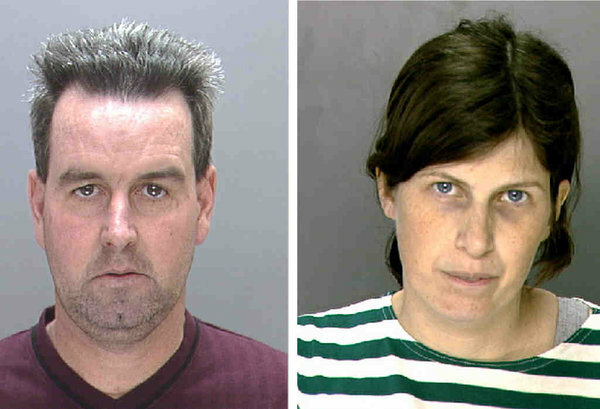 Pennsylvania: The Rhawnhurst couple who put their faith in prayer as their 2-year-old son died of bacterial pneumonia were found guilty of involuntary manslaughter Friday. The Schaibles' are members of the First Century Gospel Church of Juniata Park, which teaches healing through prayer and eschews medical care as evidence of a lack of faith in God. The Schaibles' 2-year-old son, Kent, died after fighting what began as a cold and progressed over two weeks to bacterial pneumonia. According to testimony, Herbert Schaible, 42, and Catherine Schaible, 41, prayed for their son and thought he might be getting better. But on the night of Jan. 24, 2009, the Schaibles discovered that Kent was dead. They called the church's assistant pastor, Ralph Myers, who came to the house, joined the parents in prayer, and then called a funeral director. "We tried to fight the devil, but in the end the devil won," Herbert Schaible told homicide detectives in a statement read to the jury during the trial, which began Tuesday.